It’s hard to believe, but we are approaching the second half of the 2017 fiscal calendar. Time flies. At NEXT! 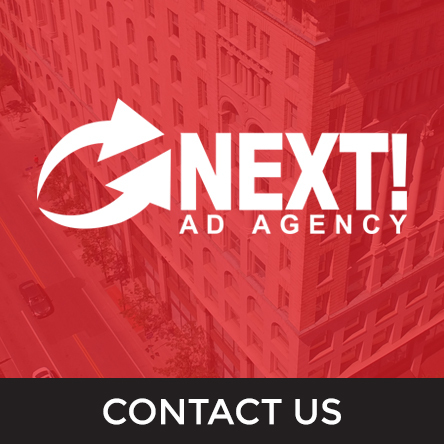 Ad Agency, we understand how busy your day-to-day is as a business owner and how it can leave you little time to investigate new marketing trends and practices. Don’t worry, though, we’ve got you covered. Below are several great tips to help your business flourish in the second half of 2017 and beyond! Mobile-ize Your Website: The “mobile takeover” isn’t happening anymore. It HAS happened. If your website is still optimized for desktops only, you are behind the times. This past fall was the first time in history that a majority of internet usage came from mobile devices (StatCounter). As many had predicted years ago, mobile internet browsing has taken the world by storm and businesses with desktop-oriented websites have been left flapping in the breeze. Instead, you will need to cater to the preferred browsing methods of your consumers by creating a mobile-friendly website. After all, you don’t want your website’s visitors to quickly jump ship when they realize your site doesn’t load properly on their phone. This is an example of a mobile responsive website created by NEXT! Ad Agency, showing exactly how your website should look on various devices. You can see in the video’s insights breakdown below that this simple video brought in strong engagement and unbelievable reach. Encourage More Reviews: It seems like online reviews become more important with each passing day. Just recently, Google added the ratings from various online reputation platforms to searches of businesses, and it’s rumored that Facebook is experimenting with including star ratings on a business’ advertisements. But how do you get more reviews? The first thing you should do is reach out to your satisfied clients to ask that they leave you feedback on the sites where you are in most need of reviews. Email is usually the way to go with this method, but you can also call them on the phone or ask them after you provide them with your services. Getting in their ear is important. You could even use your social media to ask followers to share their thoughts and link them to your preferred review site. This may be one of your more difficult and tedious tasks, but it is certainly worth your while. This example shows what happens when we search for NEXT! Ad Agency on Google. You can see our reviews featured on the right-hand side (both from Google and Facebook), and again you see our Facebook reviews in the second organic search result. If you want your business to stick out from the crowd, giving these suggestions a try will certainly go a long way. As always, feel free to contact us if you find that this is too time consuming or complex. Our team of experts is always waiting to help another small business!